The great outdoors always beckons children, even when it's rainy, snowy or slushy. 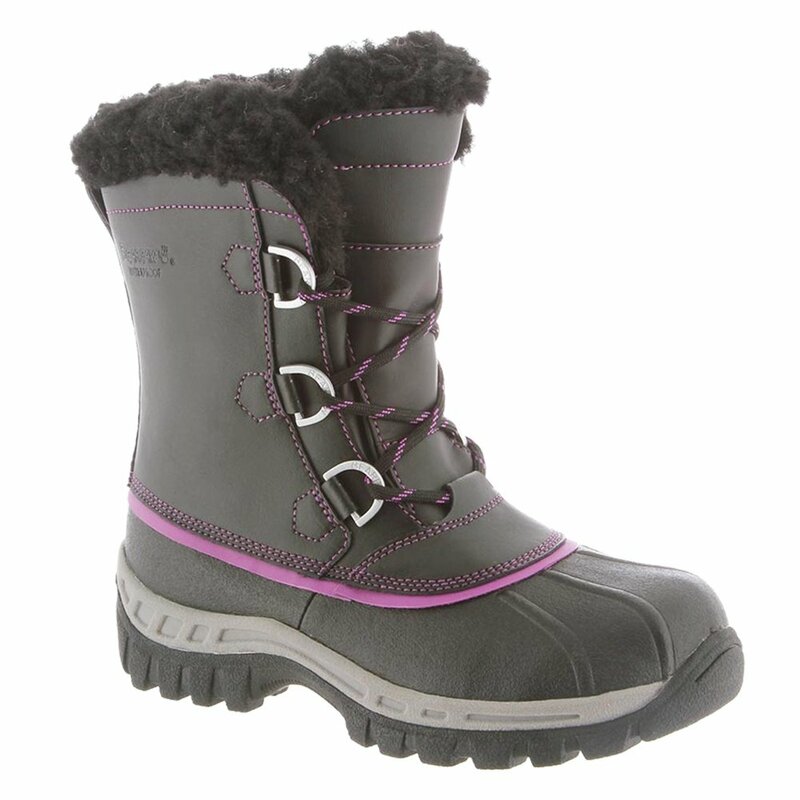 Make sure they enjoy it all with the Bearpaw Kelly Boot. This tough, weatherproof boot rises high on the leg for robust coverage through cold, wet weather. Its fully waterproof bootie construction ensures that no level of moisture seeps in, and a wool-blend lining provides comfy warmth. A sheepskin footbed ensures that warmth emanates from every angle. So your child gets to play outside and you get the peace of mind knowing that little feet are warm and dry.